Subject: альбом Vector of underground "Переспать со свободой" в сети! .Совершенно особенная,неповторимая и удивительно гармоничная.Говорить о превосходном профессионализме музыкантов бессмысленно,. он неоспорим. Невероятное созвучие двух гитар,аккордеона,этнических барабанов,ударных и басов в виде электровиолончели,(щепки).Создавался эффект бесконечности музыки,невероятной открытости слушателям. Музыканты разговаривали с залом на высшем языке,языке Музыки и Ритма.И это было прекрасно. Hello! I've recently been introduced to the amazingness that is Led Zeppelin, after being coerced into writing an article for the this 70's band that is still held in high esteem even now. Last night, I read through the entire Wiki page in one go after listening to Whole Lotta Love, Kashmir and Stairway to Heaven and a few others, and I was surprised that they were... this famous. I mean, I knew they were famous, but I never really comprehended just how famous until I read about their achievements. *__* So, I'm hosting a discussion meme in my journal to know what the masses think of Led Zeppelin. Are they really the greatest rock band of all time? Or is their music just overrated? Or are they old and washed out, soon to be replaced by contemporary talents, and the in-your-face attitude of the wannabe rockette? Now onward to the meme! Take a look at the MEME right here and share your thoughts! What do you guys think of Susan Boyle's 'Wild Horses' cover? I know she's not conventionally rock n' roll, but I like it. I'm really looking forward to the exclusive special TV Guide Network is airing on Sunday about her... Hopefully she'll sing it! 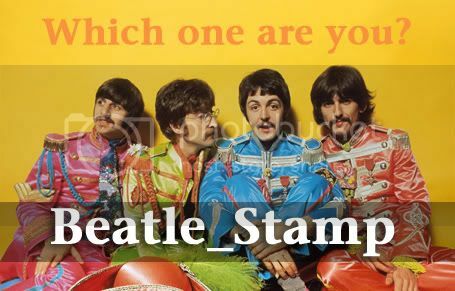 Just wanted to promote the new Beatles stamping community, beatle_stamp here. If you want to find out which of the fab four you are, you should join! We've also got themes for albums, wives, and a look-a-like application. It should be a good time! 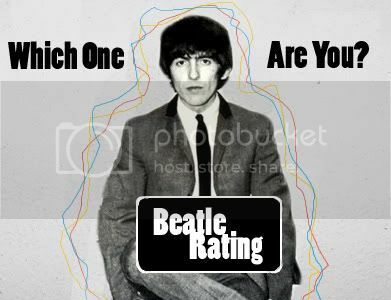 Hey I just thought I'd mention beatle_rating here. If you like stamping and want to know if you are a John, Paul, George, Ringo, or even a wife or a Brian, you should join. We're trying to get the community more active again, so it should be fun! I have recently come across a unique opportunity to interview a member of the band Kansas! He is currently their drumming apprentice and travels the country with them. He sets up for concerts, plays during the shows and hangs out with them all the time! AND we at mossip are going to take questions from the fans to pass along to him! If you would like to ask a question or want more information please go HERE! I'm new to this list. Is anybody into music videos featuring older songs? Anyone in the OKC area going to the RUSH concert in April?